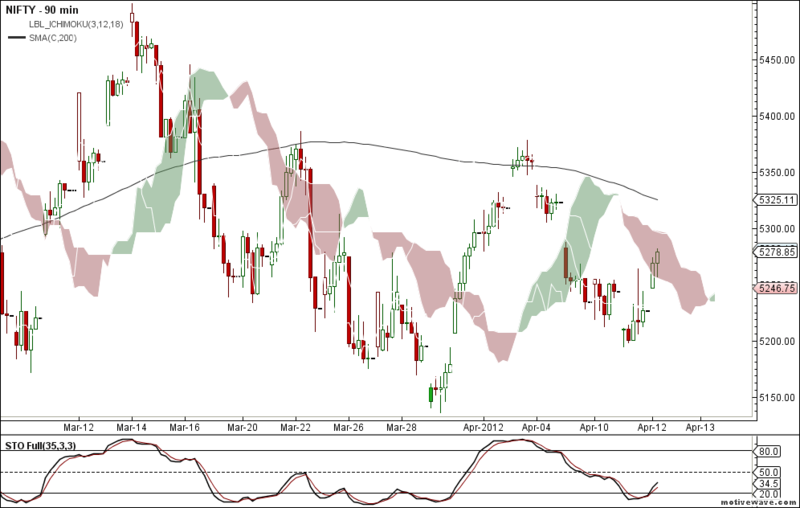 Nifty is still in sell mode on the 90 min time frame and trading very close to the cloud with resistance and intermediate resistance coming near 5298 and 5324 respectively. Exit your longs above 5298. Bank Nifty had recently turned to buy mode. 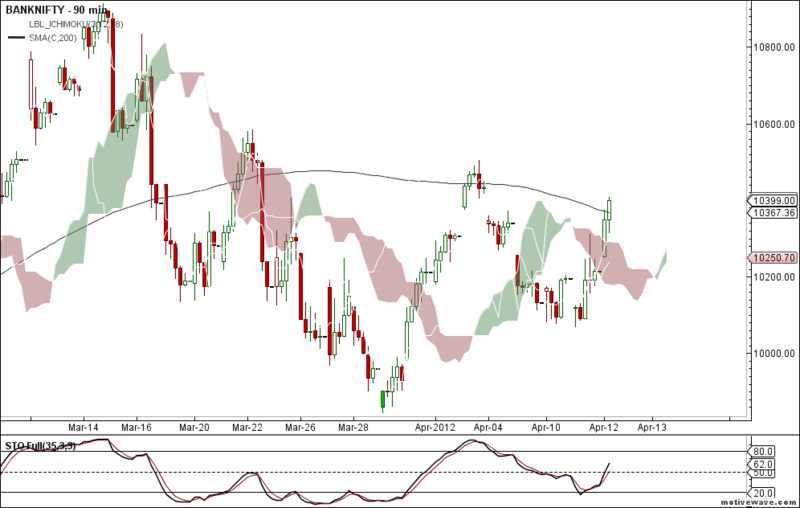 If nifty too breaks the two upper level resistance then one can enter longs positionally. Bank Nifty chart is trading currently above the Intermediate support 10367 any reversal below that indicates shorter term reversal in bank nifty. 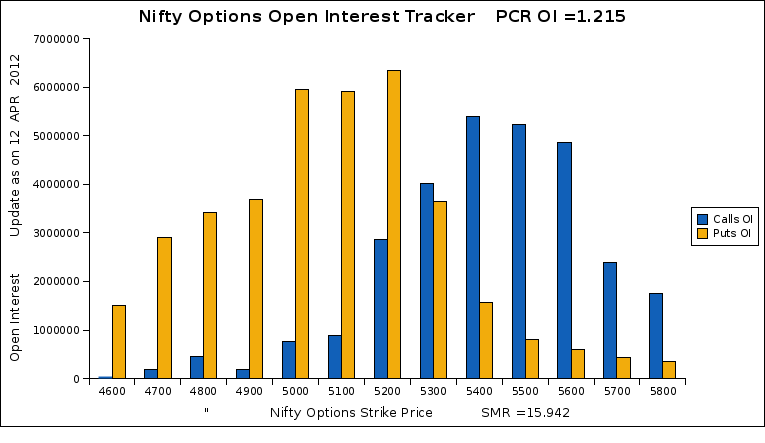 Open Interest Chart shows that 5200PE is crowded by put writers. Current EOD supports comes near 5200.